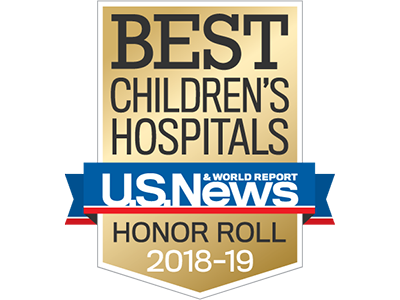 Quoting the literature, Lamia Soghier, M.D., Children’s NICU medical unit director, and Billie Lou Short, M.D., chief of Children’s Division of Neonatology, write that hospitals with strong performance-improvement programs share eight critical factors in common. Leaders of neonatal intensive care units (NICUs) across the nation share the same play books as they strive to provide safe, high-quality medical and surgical care for vulnerable newborns. A growing number of quality collaborations share best practices and evidence-based guidelines across the nation in the hopes of replicating quality and safety success stories while minimizing harms. Still, NICUs that use similar interventions in similar fashions often do not achieve identical results. “This unexplained variability in outcomes between NICUs begs the question: What is the secret sauce? Why do some NICUs consistently outshine others in spite of the application of the same ‘potentially best practices,’ ” the leaders of Children’s award-winning NICU ask in an editorial published online July 12, 2018, by Archives of Disease in Childhood (ADC) – Fetal & Neonatal edition. The “‘secret sauce’ may lie in establishing systems that promote the culture of quality and safety rather than waiting for a reduction in morbidity,” write Drs. Soghier and Short. 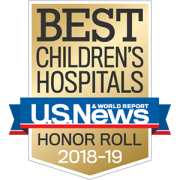 For the second year running, Children’s neonatology division ranked No. 1 among NICUs ranked by U.S. News & World Report. Despite challenges inherent in being a “busy level IV NICU in a free-standing children’s hospital with a rapidly growing capacity, higher levels of complex patients, [the] presence of trainees on rounds and routine 3:1 and 2:1 staffing models,” Children’s NICU has continued to have the lowest rates of such objective quality measures as central line-associated bloodstream infections and unintended extubations, they write. The commentary was a companion to “Using a Composite Morbidity Score and Cultural Survey to Explore Characteristics of High Proficiency Neonatal Intensive Care Units,” also published by ADC Fetal & Neonatal.